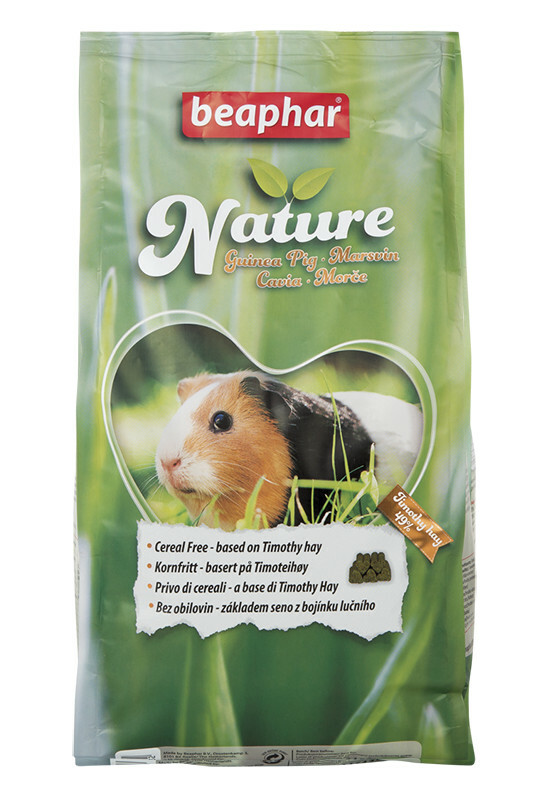 Beaphar Nature is a premium, healthy food for rabbits and guinea pigs that contains up to 30 different grasses and herbs in an 'all-in-one' pellet; this ensures your pet gets a complete and balanced diet without food waste. Beaphar Nature is cereal-free with a high fibre percentage to reflect their diet in the wild and provide support for optimal wellbeing and a healthy digestive system. 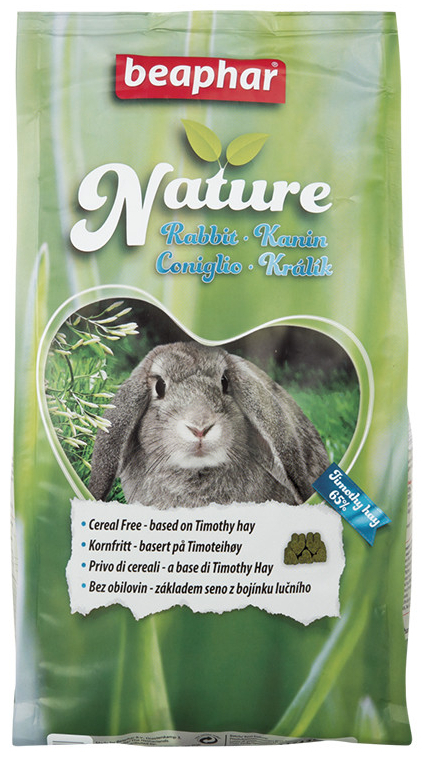 The unique rough structure of the pellets promotes teeth wear, while the high levels of Timothy Hay contributes to bladder health due to the calcium and phosphorus balance. 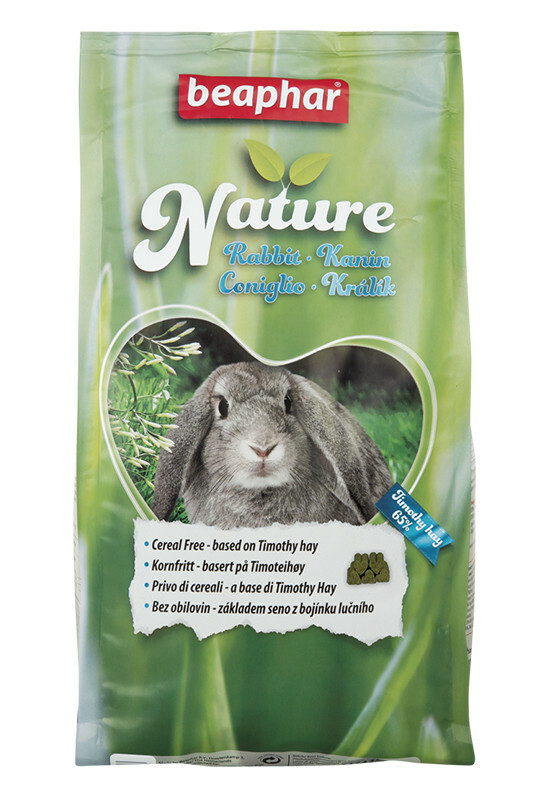 The various grass and herbs provided includes inulin which is a prebiotic that helps to optimise intestinal function and support the immune system, and Yucca shidigera which helps to reduce stool odour. When changing your pet's diet, it is important to make the change gradually. Mix some of their current food with Beaphar Nature, gradually increasing the amount offered every day until Beaphar Nature completely replaces the original food. The recommended amount of Beaphar Nature depends on the weight of your pet and should preferably be split across two meals per day. 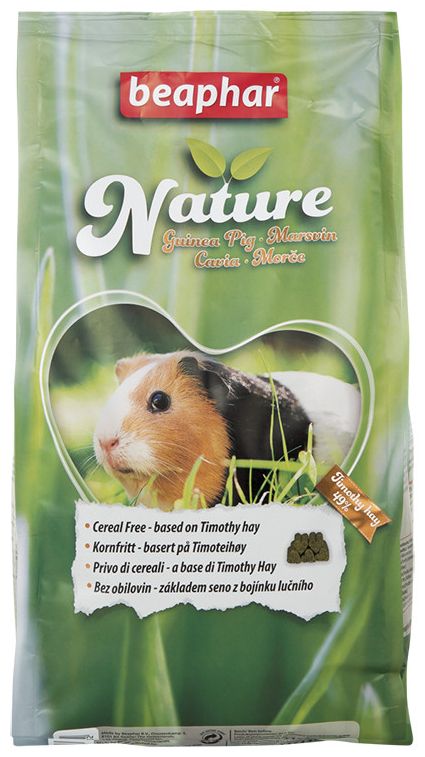 There are currently no questions for Beaphar Nature Rabbit & Guinea Pig Food - be the first to ask one!